Bullying tip #50: Why society can’t ignore the bullying problem any longer. 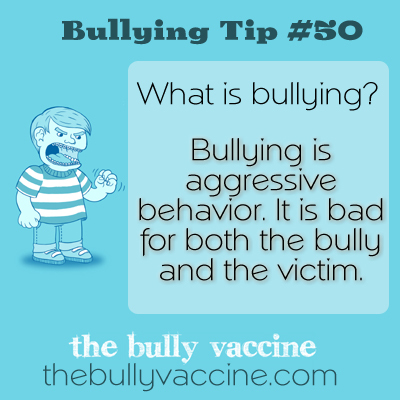 Bullying is aggressive behavior. It is bad for both the bully and the victim. Bullies are more likely to end up in the criminal justice system than non-bullies. Society benefits when we don’t allow these bad behaviors to continue.